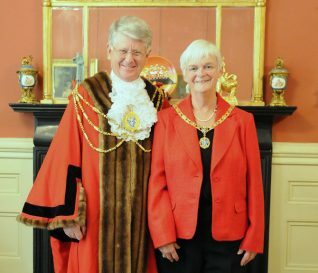 On Thursday 15th May, the new Mayor of Brighton and Hove, Councillor Garry Peltzer Dunn, accompanied by his wife Mrs Chip Peltzer Dunn, was inaugurated in a civic ceremony. 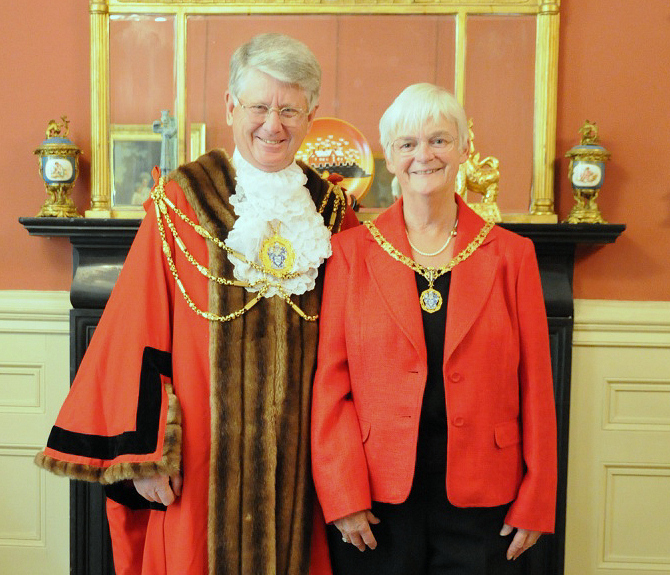 The Mayor is the first citizen of Brighton & Hove and represents the council at public affairs, civic and ceremonial events both in and outside the city. 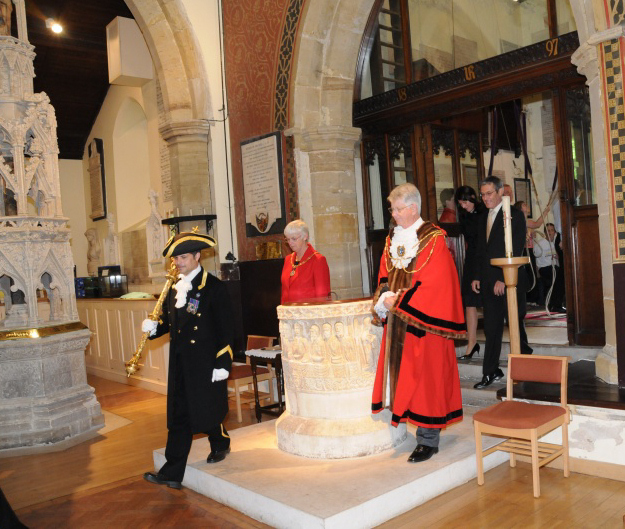 The Mayor has a social and ambassadorial role to play and is a figurehead for the community. Councillor Peltzer Dunn has chosen four locally based charities to support during his year – the Alzheimers Society, the Martlets Hospice, the Rockinghorse Appeal and the Sussex Heart Charity. 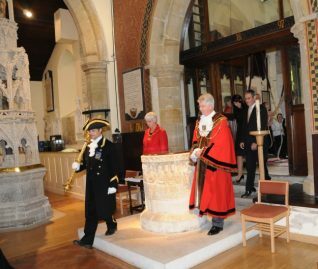 The new Mayor and Mayoress carried out the first duty of their year of office when they attended the Parish Eucharist which was held at St. Nicholas’ Church, Brighton. I remember going to the Mayor’s ball at the Hotel Metropol in 1970 when the Mayor of Hove was Norman Freeman. My father was labor councillor Bill Stevens and we went with my mum, my fiance (now hubby), on his birthday, 19th March. It was a lovey occassion. Norman owned Dorothy Normans the clothes shop in Church Road. Him and his wife where lovely people, does anyone remember them? I remember both of them. I was an apprentice carpenter and joiner, involved in fitting out the store in Western Rd. they used to pop in to check progress! They had a man who was called Robert who was there most of the time. This must have been mid sixties?